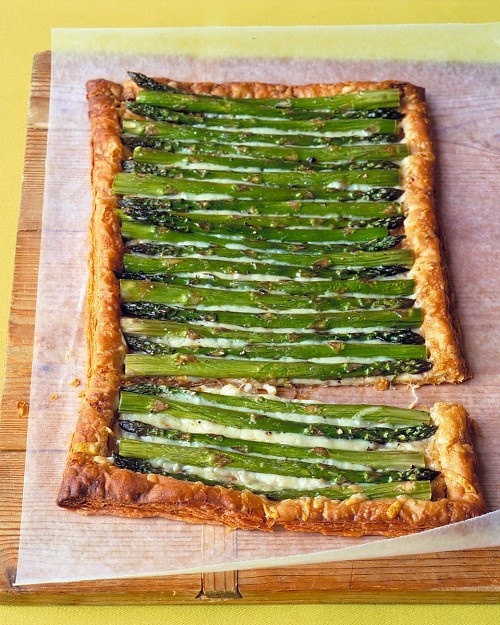 inkle with Gruyere cheese, and top with trimmed asparagus spears laying horizontally across the dough (alternate ends and tips). Brush it with olive oil and top with salt and pepper. Bake it for another 25 minutes. Cut into squares and enjoy hot!